Microgrid 2019 will highlight the US armed forces’ growing use of military microgrids as a means to improve energy resilience, strengthen cybersecurity, and green its facilities. The largest consumer of energy in the world, the US military strongly influences development, price and adoption of electric technologies. Fortunately for the microgrid industry, the military is placing increasing emphasis on energy resiliency, a key benefit of microgrids. For example, the Army now mandates that critical infrastructure be able to withstand a 14-day power outage, up from 2-3 days in the past. Microgrid 2019 will explore the topic in one of the top US military cities, San Diego, home to more than 230,000 people associated with seven military bases. 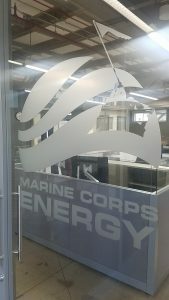 In addition, the event includes a tour of one of the most advanced military microgrids in development, located at MCAS. Reliable energy is crucial for MCAS — the San Diego base serves marines and sailors from the 3rd Marine Aircraft Wing, which provide combat ready expeditionary aviation forces capable of short-notice worldwide deployment. It is home to 10,000 service members and their families and supports more than 200 aircraft. Backed by $20 million in Congressional funding, MCAS is building a microgrid that integrates multiple resources and showcases sophisticated, best-in-class features. In addition to supplying redundant power, the microgrid is designed to help green the base’s operations, bolster cybersecurity, reduce demand charges and manage overall energy load. By participating in demand response and providing grid services, the microgrid also will support the efficient functioning of California’s electric grid. 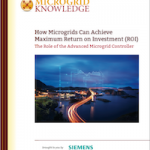 Microgrid 2019: Shaping the New Electric Grid is the fourth annual conference held by Microgrid Knowledge, the number one resource worldwide for all things microgrid. In addition to the military sessions, the event will feature panels on microgrids for commercial & industrial facilities, campuses, hospitals, communities and transportation. Special discussions also are planned about microgrid engineering and technology, policy, regulation and finance. To learn more and register, see Microgrid 2019.